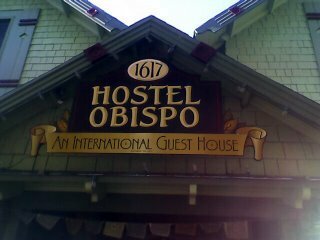 I neglected to get a photo of the Sacramento Hostel I mentioned before but here are the other hostels I stayed at recently. First I stayed at the wonderful San Luis Obispo Hostel. It is a very homey environment that is welcoming and sociable. You can tell a lot by the signs shown in these three pictures. 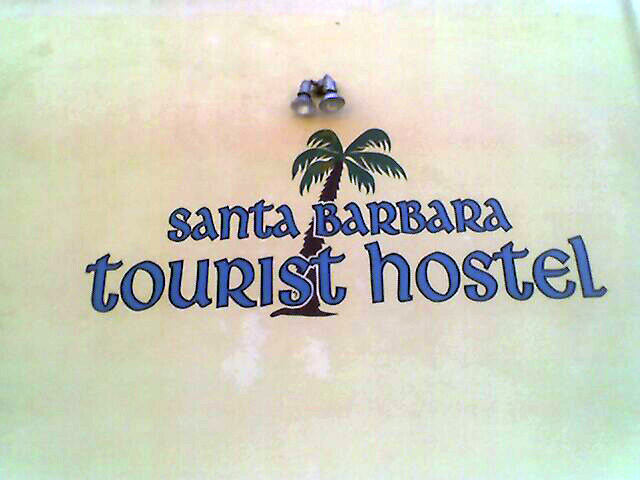 The next night I was at the Santa Barbara Tourist Hostel. It is not nearly as homey, although the folks there were laid back and basically friendly. It seems to be geared towards the basic party amenities meaning that it is not conducive to a family friendly experience. The place was generally clean and seemed to be operating fairly well, it's just not a great place to expect much more than the most basic accomodation. Then after spending a night at my cousins house in L.A. 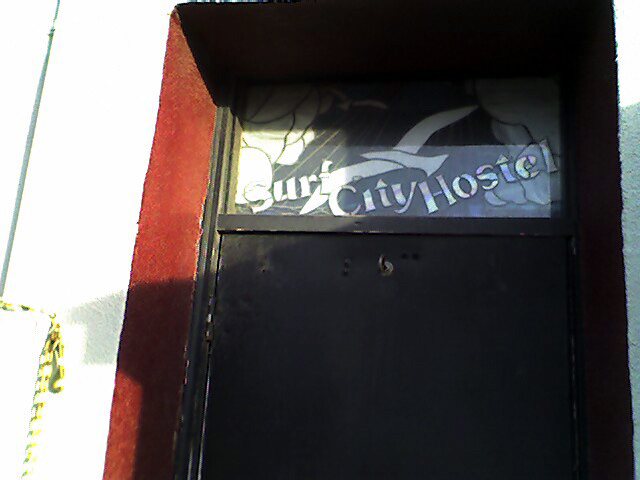 I was in Hermosa Beach at the Surf City Hostel. It is definitely party central. Thankfully it is off season. Located right above a night club that plays very loud music until late I was told by a staff person that it can be a very wild place when all the Aussies and Kiwis fill it up. I am blessed with the ability to sleep in spite of moderate amounts of noise so with the aid of earplugs I got adequate sleep during my three nights. This hostel is not affiliated with Hostelling International like the other two, so it does not even pretend to uphold any standards. It was basically clean and reasonably kept, but not much more than that.